North Carolina State needed a miraculous run late in the season just to make it to the NCAA tournament. Then it seemed as if the Wolfpack would never go home. Even when mighty Kansas, the No. 2 seed in the Midwest Regional, had pulled ahead by eight in the closing minutes Friday night, coach Mark Gottfried’s bunch refused to give in. It wasn’t until Richard Howell’s off-balance shot at the buzzer came up short that reality finally hit. The dream season for the No. 11-seed Wolfpack had ended in a 60-57 defeat. It was that far beyond anybody’s expectations. The team was picked in the middle of the pack in the ACC — at best — yet managed to knock off San Diego State and Georgetown to reach the Midwest Regional semifinals. The Wolfpack just didn’t have an answer for the bruising inside tandem of Thomas Robinson and Jeff Withey, who provided the grit that moved Kansas within a game of the Final Four. Robinson finished with 18 points and 15 rebounds, and Withey blocked 10 shots to finish one shy of the NCAA tournament record. And the Jayhawks set up a date with top-seeded North Carolina on Sunday night — a showdown between the bluest of the bluebloods. C.J. Leslie had 18 points to lead N.C. State (24-13), despite sitting much of the second half with four fouls. Scott Wood finished with 12 points on 2-for-10 shooting, though his biggest error wasn’t a missed shot but the shot he never even got to attempt. N.C. State had pulled within 58-57 on a transition layup by C.J. Williams with just over a minute remaining. The teams swapped possessions before Kansas managed to get a layup from Elijah Johnson off an inbound pass from Taylor with 13.5 seconds left. The Wolfpack crossed midcourt and called a timeout to set up a play, which was designed to get the ball to Wood off a baseline pass. Instead, a skip pass went high and the sharpshooter stepped out of bounds trying to pull it in, giving the ball back to Kansas with 5 seconds to go. 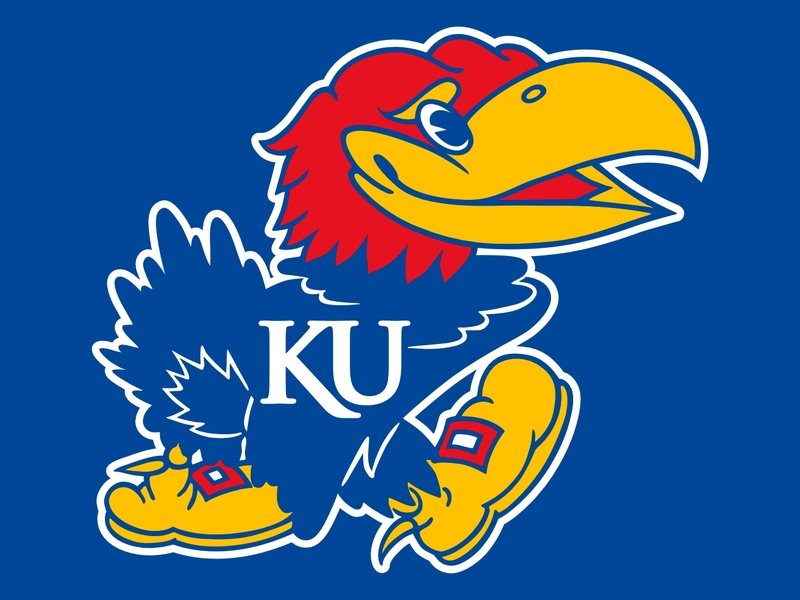 Robinson was fouled and missed the free throw at the other end, but a pass down court and Howell’s tightly guarded shot at the buzzer came up nowhere close, allowing Kansas to escape. “We did not execute very well. The end of the day, that’s my responsibility,” Gottfried said. Johnson finished with 11 points for the Jayhawks (30-6), who moved on despite a lousy performance by Taylor. Their second-leading scorer had six points on 2-for-14 shooting. Kansas was just 1 for 14 from beyond the arc as a team. “It gets frustrating, but I can’t hang my head and get down. I’ve just got to be able to do other things to help my team win,” said Taylor, who still managed 10 rebounds and five assists. The Wolfpack took a page from Purdue’s playbook over the first eight minutes, using constant double teams on Robinson inside and forcing Kansas to settle for jump shots. They didn’t go in, at least early on. Just as they did against the Boilermakers last weekend, Kansas struggled to gain traction, and Leslie took advantage by scoring five of his 12 first-half points during an opening salvo. Williams’ 3-pointer gave the Wolfpack a 17-11 lead — their biggest of the half. Kansas eventually clawed back, relying on defense during a 12-0 run. Withey provided most of it inside with seven blocks in the first half. Leslie answered with back-to-back baskets for N.C. State, and his bucket on the heels of a 3-pointer by Wood gave the Wolfpack a 33-32 lead at the break — their last lead of the game. Johnson, who provided the big shots that allowed Kansas to reach St. Louis, hit his only 3-pointer of the game out of halftime. It was the start of a 12-2 run during which Leslie was forced to the bench with four fouls and nearly 16 minutes still on the clock. “It was a very physical game. They’re very active coming over and helping,” he said. Kansas extended the lead to 50-40 when Taylor lobbed a pass to Withey for an alley-oop dunk, and a partisan crowd inside the Edward Jones Dome roared in approval. Leslie finally checked back in with less than 7 minutes left, giving N.C. State a brief boost. But moments later he was back on the floor as trainers appeared to work on a cramp, and Kansas pounded away inside before he checked back into the game. The lead was 58-50 with just over 3 minutes remaining, and Kansas managed to hold on during a furious final stretch to reach another regional final — and earn a date with the Tar Heels.